You want to execute your bare wooden floors. Look here for all renowned brands varnish, oil, wax. 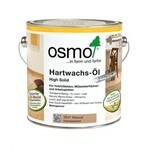 You will also find special stain and color oil for your parquet floor. Update your wooden floor with the correct oil, lacquer or wax.